The QL810W prints up to 110 labels/min, ensuring you are always one step ahead, whatever your business. Providing unprecedented flexibility and creative possibilities for users, this device prints in both black and red text, enabling a variety of use applications including warnings, special identification of persons on name tags, highlighting important messages, emphasising offers on signs or for practical reminders. 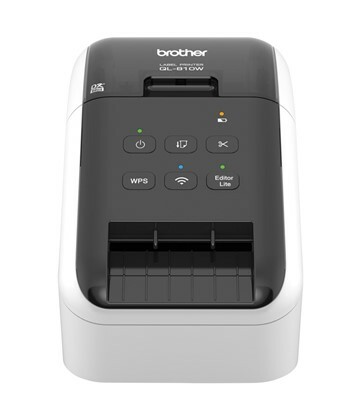 See the manufacturers web site Brother P-Touch QL810W Wifi Label Printer for more information.